How does a city obtain water, gas, and electricity? Where do these services come from? How are they transported? The answer is infrastructure, or the inner, and sometimes invisible, workings of the city. Roads, railroads, bridges, telephone wires, and power lines are visible elements of the infrastructure; sewers, plumbing pipes, wires, tunnels, cables, and sometimes rails are usually buried underground or hidden behind walls. 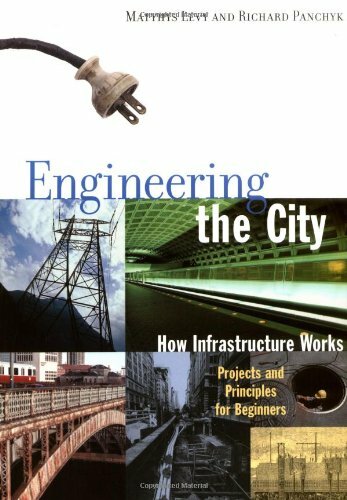 "Engineering the City" tells the fascinating story of infrastructure as it developed through history along with the growth of cities. Experiments, games, and construction diagrams show how these structures are built, how they work, and how they affect the environment of the city and the land outside it.